Looking for reliable and skilled builders? Welcome to T Wood Builders! Completing projects on time and to budget is as important to us as to our clients. Word of mouth and recommendations about our service is borne out of this. We are craftsman as well as tradesmen. The outstanding quality of our work and attention to detail can be seen in our ‘recent projects’ page. 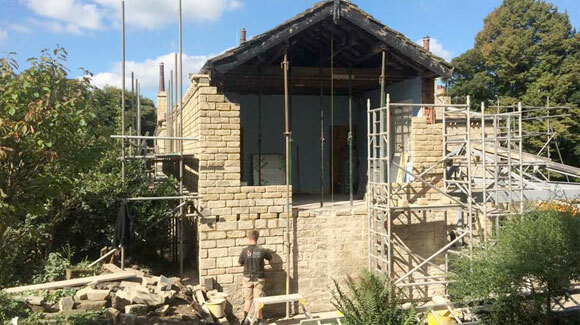 We are an established team of experienced builders, joiners, plasterers, plumbers and NIC registered electricians working on residential and commercial projects across Yorkshire, with a passion for beautiful results. Through commitment to our customers, we have earned an enviable reputation for reliability, honestly and quality workmanship, ensuring that each and every project we undertake has the highest levels of diligent care and hard work. With over 20 years experience, we have a builders’ depth of knowledge – from mastery of traditional craft skills to working with the latest energy-efficient and sustainable technologies, to sympathetically rejuvenate, adapt or extend any existing property or create a stunning new build. Your home or commercial property is an important space, an investment and a statement. We know that choosing the right builders for your job is crucial and that is why we will work with you at every step of the way, making you feel a valued part of our team.